Loyal Dunkin’ Donuts customers can now use Waze, the free, real-time crowdsourced traffic and navigation app powered by the world’s largest community of drivers, to save time both on the roads and at Dunkin’ Donuts restaurants. 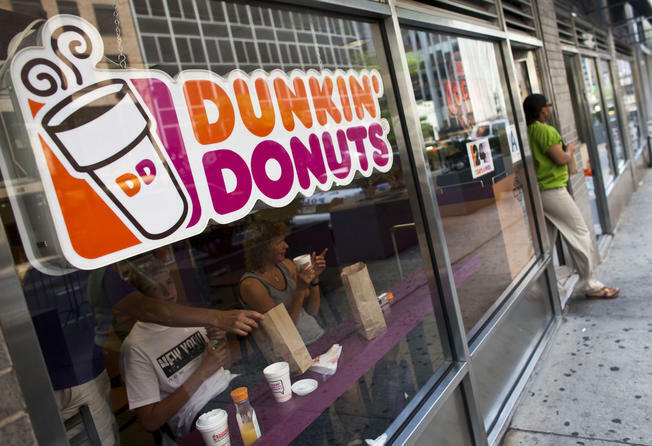 Dunkin’ Donuts has become the first partner for Waze’s new feature, “Order Ahead,” which lets Wazers save time in line by submitting orders in the Dunkin’ Donuts Mobile App. With today’s launch, members of the DD Perks® Rewards Program can order their favorite Dunkin’ coffee, beverage, donut or breakfast sandwich directly by connecting to Dunkin’ Donuts’ On-the-Go Mobile Ordering feature through the Waze app before hitting the road, then speed past the line to pick it up inside a Dunkin’ Donuts restaurant. With the Order Ahead feature, Dunkin’ Donuts and Waze are making the route to Dunkin’ faster and easier than ever for DD Perks members, creating a seamless experience allowing users, before beginning their trip, to use Waze to pinpoint the nearest Dunkin' Donuts restaurant and tap a single button to launch On-the-Go Ordering within the Dunkin’ Mobile® App. To utilize Waze’s new Order Ahead feature, Dunkin’ Donuts guests must update their Dunkin’ Mobile App for their for iPhone, iPod touch and Android smartphones.